. Published on January 29, 2016. Interested in integrating STEM in your classroom? How about Robotics? How about both? We sat down with Randy Steele, one of the creators of the STEM Robotics 101 curriculum, to learn more about this project. Randy will be at NCCE 2016 this year and presenting on this very topic Thursday, February 25th at 4:00pm, in the Tahoma 5 room. What is STEM Robotics 101 and how did you get started with this project? After 20 years designing computer chips for Intel and others, I decided to enter Education as an “empty nest” career. Upon examining successful sports and music programs to identify which characteristics led to wide student/parent/community support, I approached the Olympia School District about developing a new STEM program. We chose Robotics as a STEM platform with the goal of helping our students grow from being consumers of technology to creators of technology. Robotics embodies applied math and science, demystifies technology, and introduces a broad array of engineering disciplines (mechanical, electrical, software, electronic, etc.) as well as computer science, project management and all the 21st Century Skills. We then aligned our course roadmap with the FIRST continuum of robotics competitions (FLL, FTC and FRC) to provide the team/competitive element at the heart of sports and music programs. We soon realized that one size does NOT fill all in STEM education, as each classroom is a unique combination of student needs, administration goals, and the strengths and passions of the teacher. We developed STEM Robotics 101 to be a customizable, turn-key curriculum for teachers new to STEM. Basing our curricula on the LEGO MINDSTORMS robotics kits and programming tutorials from Carnegie Mellon University made STEM Robotics 101 approachable for students and teachers alike. We then infused STEM Robotics 101 with explicit applied math and science lessons, technology exploration lessons and engineering lessons/open-ended challenges. Each teacher then customizes this content to meet their unique situation. Allowing teachers to play to their strengths, interests and passions creates a STEM Robotics class that excites students and helps them envision STEM as a part of their future. While most of the content is open to the public, we ask professional educators to register for a free (and SPAM-free) teacher-user account which provides them access to assessments/answer-keys, and the ability to contribute to the site. We currently have about 1,800 registered teacher-users around the world. Do students have an opportunity to test their robots against other students? 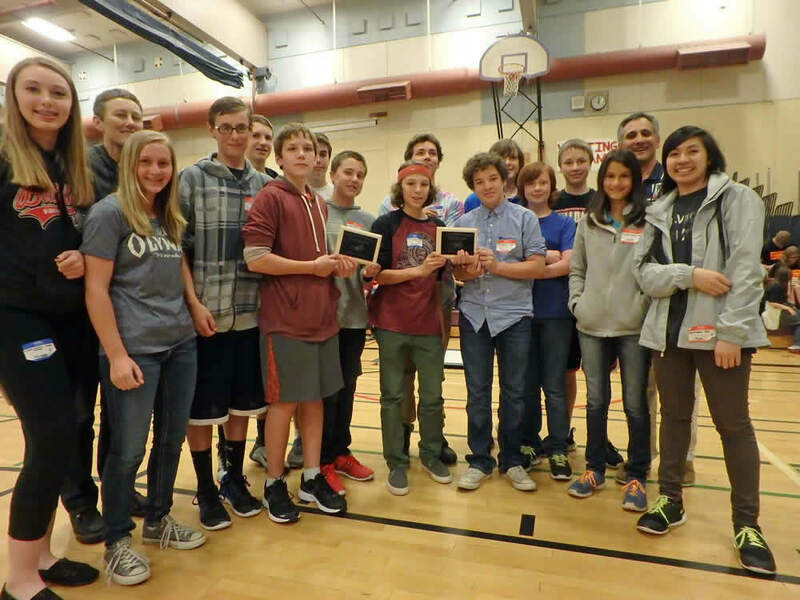 By the way, STEM Pals is our Booster Club for STEM education in OSD – another idea we stole from successful music and sports programs (booster clubs). This group helps us recruit volunteers and mentors as well as raise funds and awareness to support STEM programs. What are the educational benefits of having a robotics in your classroom? Our goal with STEM Robotics 101 is to equip science, math, humanities, etc. teachers to become STEM+CS teachers. The beauty of robotics as a STEM+CS platform is that these teachers can customize Robo101 and make it their own. They say when you’re a hammer, all the world looks like a nail… well, when a math teacher looks at Robo101 they see applied geometry, algebra, and algorithms; the science teacher sees demystified technology, applied physical science and a data logging tool for earth sciences and chemistry; the humanities teachers sees a platform for technical writing and presentations; the technology teacher sees stealth computer science for the masses; etc. etc. STEM Robotics 101 is not about the robots…. it is a STEM+CS platform that can be molded to reflect the passions of the teacher and the needs of their students. What are some tips for a teacher that wants to start a adding robotics in their classroom? The typical middle schooler will tell you that when they grow up they are going to be either a professional athlete or the next American Idol (an interesting blend of popular culture and those successful sports and music programs). If you want your students to envision STEM as a part of their future, they need to be exposed to a passionate STEM teacher. So figure out what you are passionate about and see if STEM Robotics can be a platform for you to share that passion with your students in an academically accountable classroom. We hear you are going to be at NCCE 2016! Where can we learn more about robotics in the classroom? Yes, I will be presenting “STEM Robotics 101 – Approachable STEM+CS for All” at NCCE. We’ll walk through the STEM Robotics 101 site and let everyone kick the tires on the curriculum. There are over a million unfilled STEM job in this country, but only one American Idol and a relative handful of pro athletes. We need to help students understand they can pursue lifelong interests in sports/music in their personal lives, but they should explore STEM as an exciting possibility for their future careers. We hope STEM Robotics 101 and programs like FIRST can equip teachers to enable this exploration.